What I'm going to share is the auction I have to benefit Barks of Love Animal Rescue. 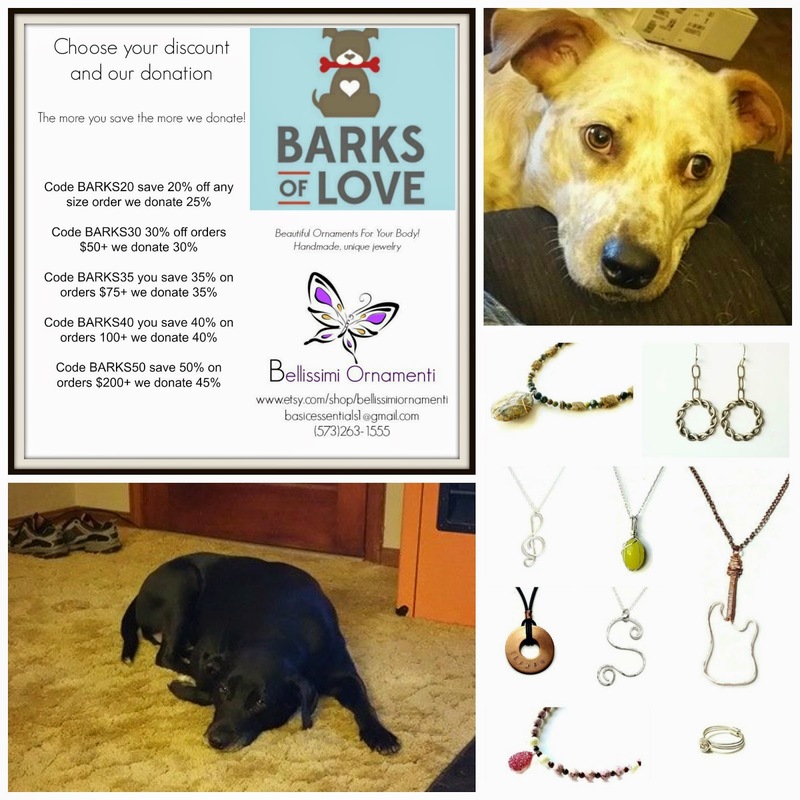 Barks of Love is a wonderful organization, I encourage you to visit their website to learn more about the wonderful things they are doing. I am a huge animal lover and especially a dog lover. I've had dogs most of my life and they have always been rescues. My two current dogs, Dory & Newton are rescues. I love them beyond words. I wish that all dogs could experience a loving a home.